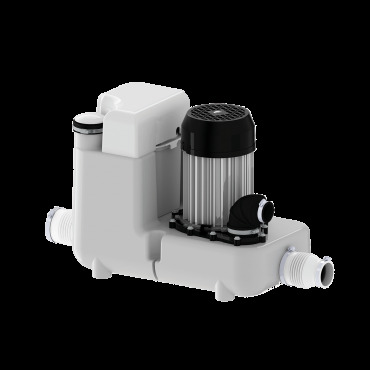 The Sanicom 1 drain pump is used to pump gray water away from a variety of fixtures in commercial and residential applications. 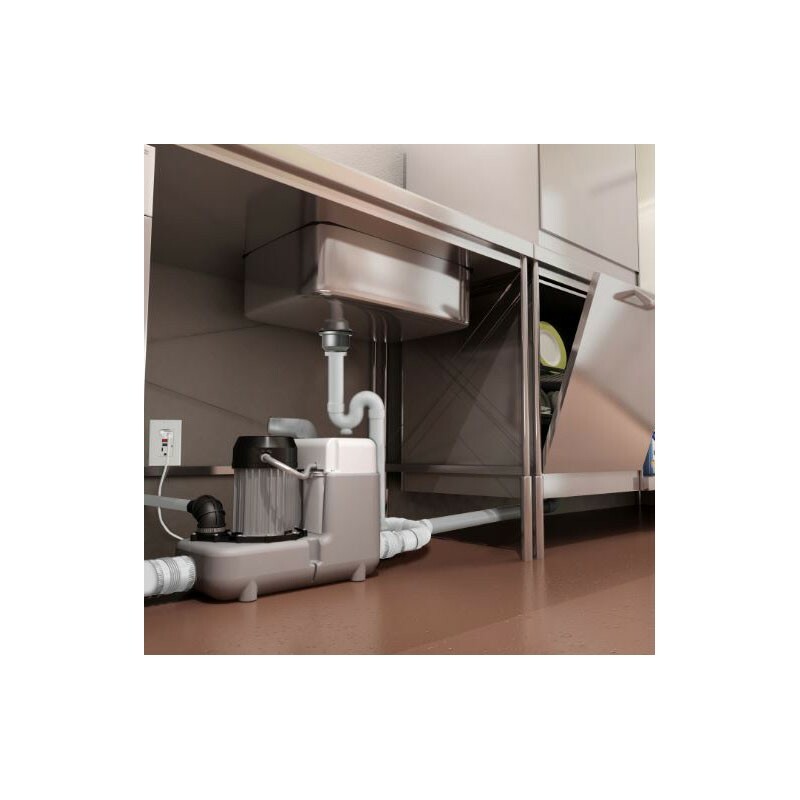 The system is able to discharge the waste up to 25 feet vertical and/or 250 feet horizontal. This model was designed to sustain the toughest applications from commercial applications where hot water can be an issue as it is capable of handling up to 194°F. 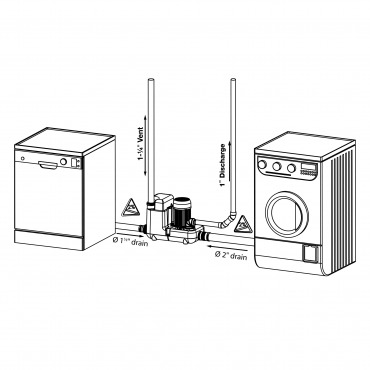 The Sanicom 1 model was designed to sustain the toughest applications meant for gray water pumps. 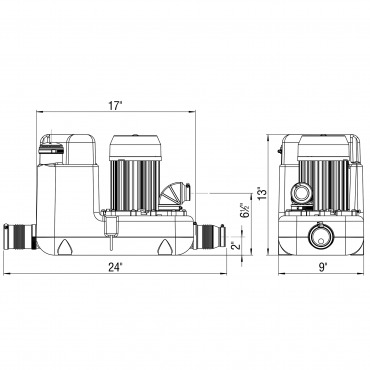 Its pumping capabilities and unique design are the reason why these range of pumps are preferred for heavy duty applications. The unit pumps the effluent upward to 25 feet and/or 250 feet horizontally (with gravity fall). Once the water is discharged and the water level in the container goes down, the pressure switch deactivates the unit until water enters the unit again. 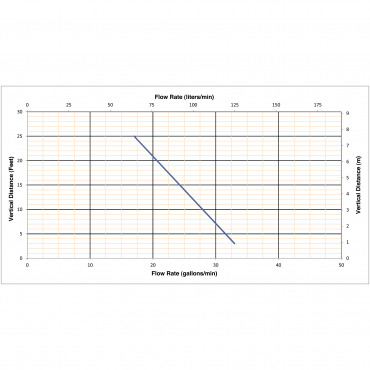 A normal operating cycle for the Sanicom 1 can be as short as 2 - 10 seconds depending upon the discharge pipe run configuration; power consumption is therefore minimal. The Sanicom 1 handles up to 194°F water, making it perfect for commercial kitchen applications where dishwashers must operate at exceptionally high temperatures to meet health and sanitation standards. In addition, the unit is specially designed to withstand liquids with highly acidic properties, such as wastewater from processing applications. Its important to use the proper pipe rated for high temperature on the discharge as well as for the inlets. 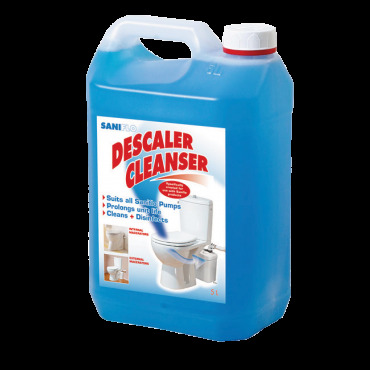 The waste water from other sanitary fixtures is discharged into the Sanicom 1 via two 2-inch inlets, on either side of the housing. The discharge elbow on top of the Sanicom1 can be turned either to the left, to the right, or towards the back, depending on the discharge installation. 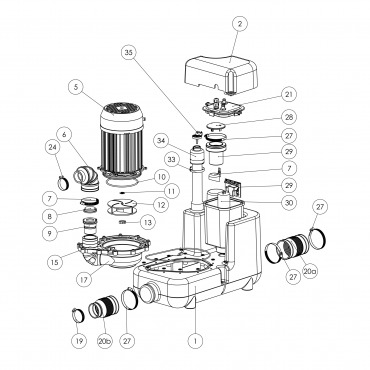 A non-return valve, provided with the system, prevents back flow into the unit. 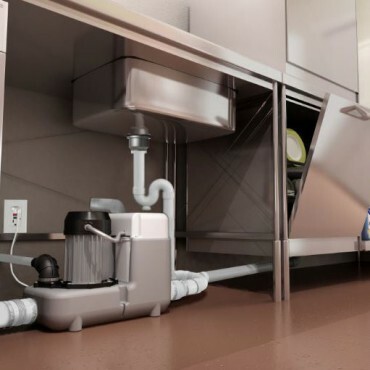 It is also highly recommended for the gray water pump to be connected to a Ground Fault Interrupter (GFI) circuit.